Carshow | Would you like to know what the car market will look like two years from now? Then a visit to the Paris Motorshow may be worth your while. This biannual show is among the most important in the world. Here car makers bring their biggest news and unveil the most important new models. Autozine took a look into the future. The Paris Motorshow isn't just great when it comes to news, but also in sheer size. The expo consists of such huge buildings that it demands a brisk walk to go from one to the other. So it is wise to start at the main entrance of hall number 1 (easily recognized by the metal "igloo" in front). In hall number 1 the visitor meets eye to eye with the Citroën C3 Picasso. That car immediately sets the tone for the show: new cars are all about fun. The C3 Picasso is presented as Citroën's latest space wonder and a test sitting proves that the C3 does indeed offer a lot of interior space. The C3 Picasso is expected at the dealers early 2009. Next door Peugeot shows off the 308 CC. This latest coupé cabriolet is expected in the showrooms in April 2009. 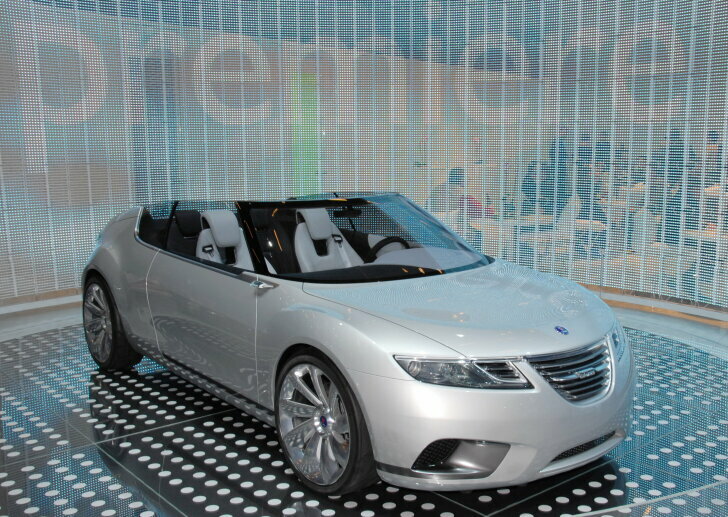 Besides this 308 CC, the "Prologue" conceptcar debuts. 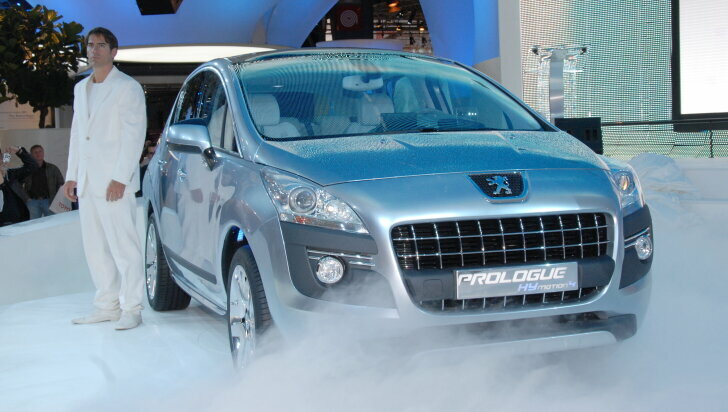 As former "Prologues" have often found their way into the showroom, this may very well be the first glance at the upcoming Peugeot 3008 (entering production mid 2009?). 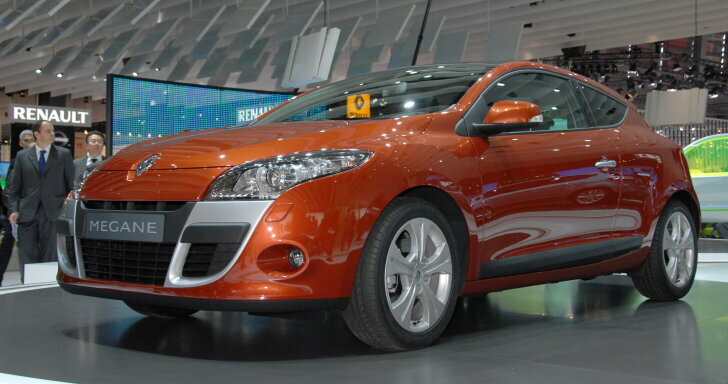 At Renault all attention goes to the new Mégane. The design is less daring and cutting edge than before, because Renault wants to reach a bigger group of buyers. The car is shown in three and five door versions in Paris. Closely related to Renault is Dacia, which introduces the "eco2" label. This makes new Dacias more fuel efficient (thus cheaper to run!) than the current models. 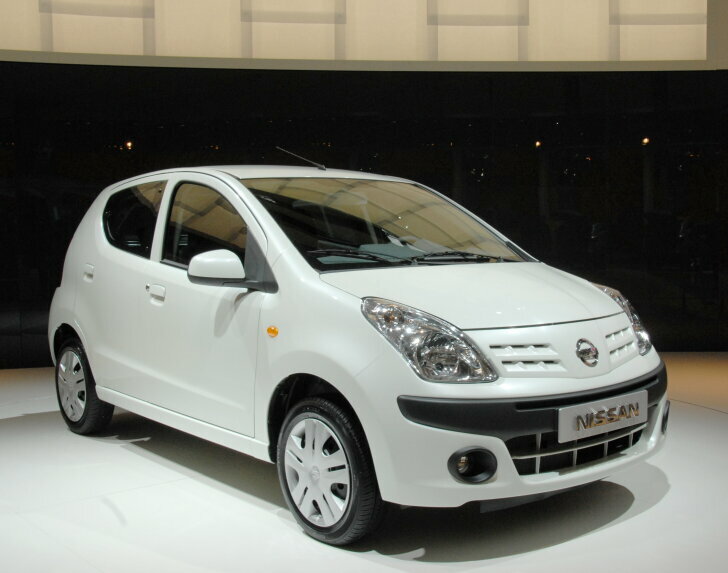 Also green and efficient is the Nissan Pixo. This car has been developed together with Suzuki, which sells exactly the same car under the name "Alto". The new Ka shines at Ford. The car looks as sharp as the new Fiesta and will be tested by Autozine in November. Traditionally Fiat, Alfa Romeo and Lancia have the most beautiful displays. Lancia has a fashion theme and literally dresses itself in beauty. "ecoDrive" is a nifty self learning system from Fiat. It gathers information about the driving style and stores it on a USB-stick. Using a PC each ride can be analysed and drivers obtain information on how to drive more economical. Visitors of the Paris Motorshow can show their economic driving skills in a simulator. 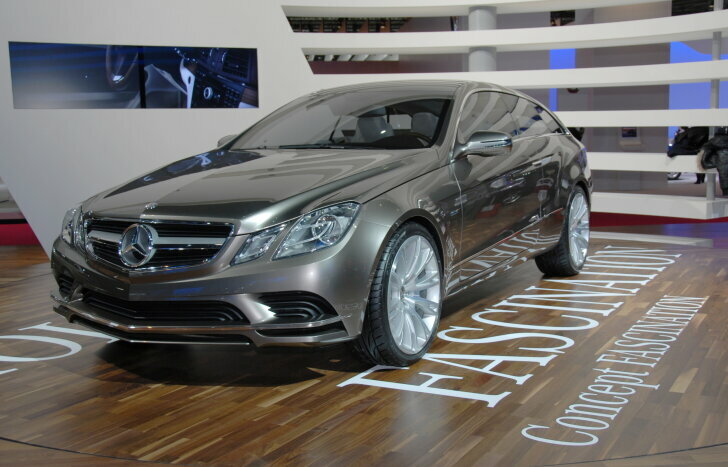 Even Mercedes-Benz goes green with the S-Class hybrid (S400) which will go on sale soon. The "Concept Fascination" gives a fascinating view into the future with a sleek estate ("shooting brake"). BMW also fits its topmodel with a hybrid engine: the "7-Series ActiveHybrid". 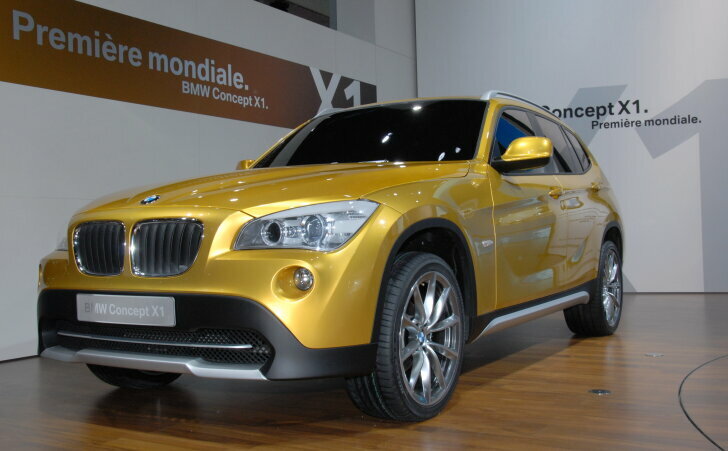 The big crowds gather around the X1: a compact, very streamlined SUV based on the popular 1-Series. 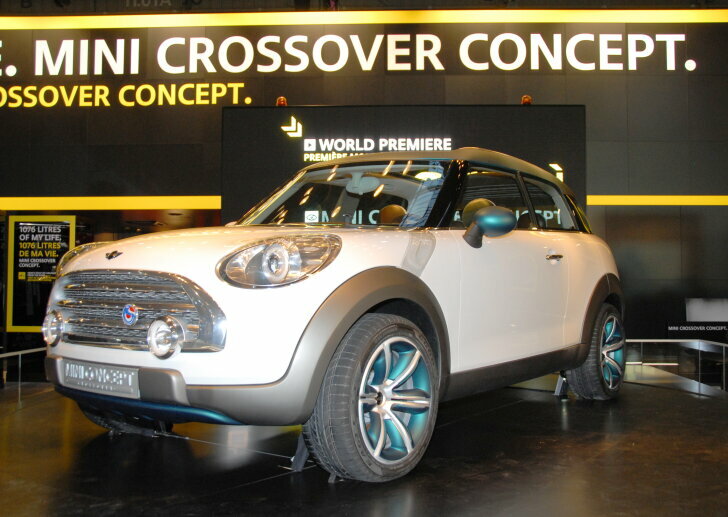 MINI experiments with an SUV and brings the "Crossover Concept" to Paris. Take the stairs in the back of the building, to hall 3 (via hall 2). Here Honda proudly presents the new Jazz. Although the car has already been reviewed, it officially debuts here at the Motorshow. An old and familiar model got a new face: the Civic Hybrid features a new front and new wheels, making it look a lot better than before. 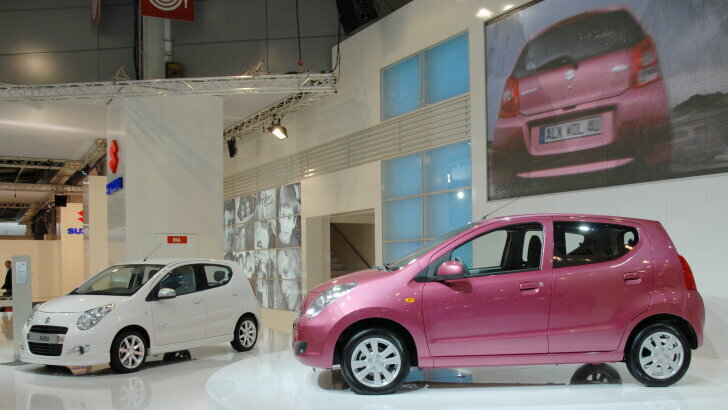 After many concepts and prototypes Suzuki unveils the long awaited new Alto. Compared to the predecessor the new model offers more room and feels more grown up. 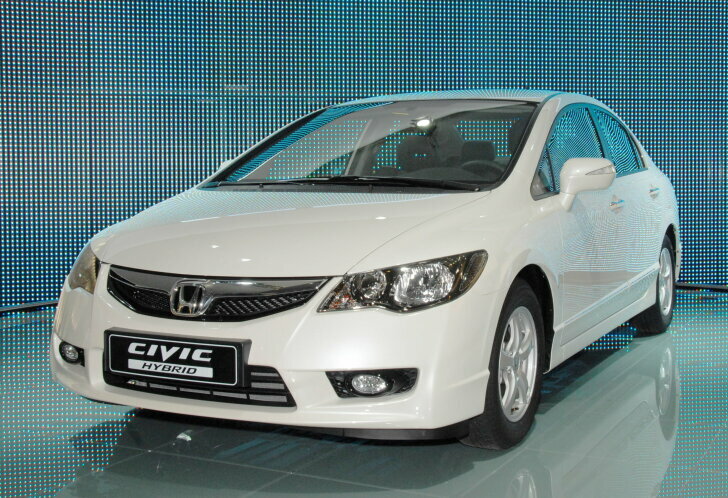 The specifications promise fair performance and excellent mileage. 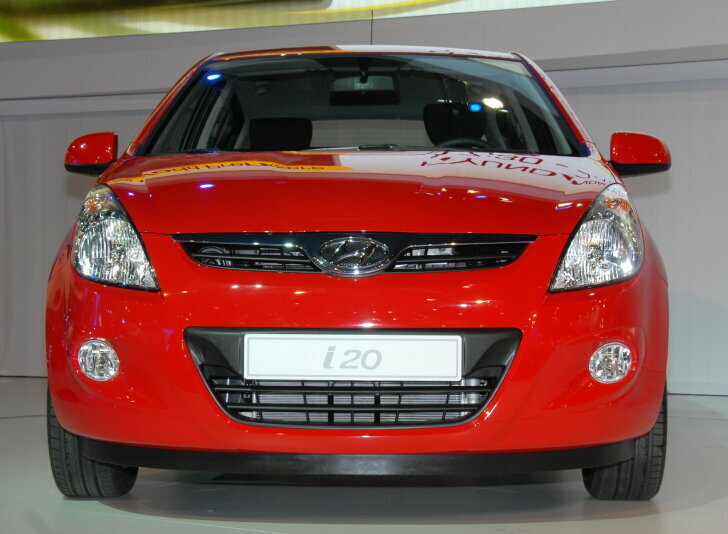 At Hyundai the i20 is shown to the world for the first time. A test drive with this succeeder of the Getz is planned for mid December. Don't leave the motorshow, but do take the side exit from hall 3 to 4. A short walk trough the fresh air leads to hall number 4, where the Volkswagen-group dominates. 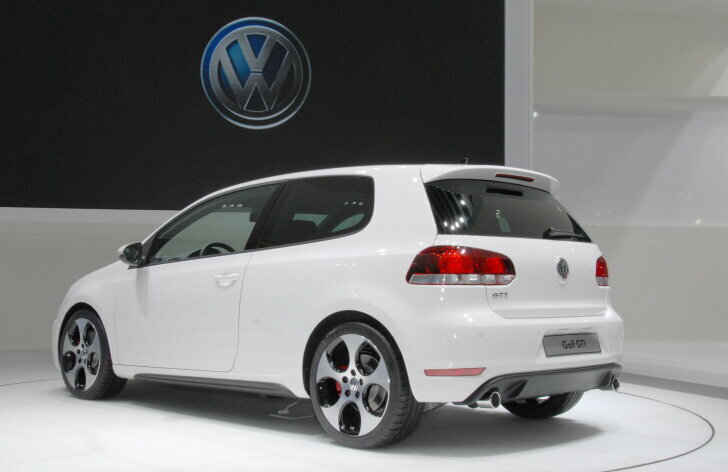 Here the Golf VI GTi takes centre stage. 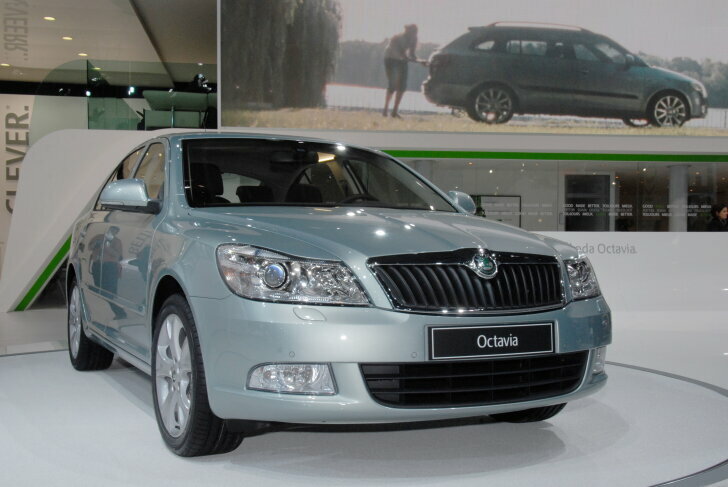 Skoda shows the facelifted Octavia, which will be reviewed shortly. 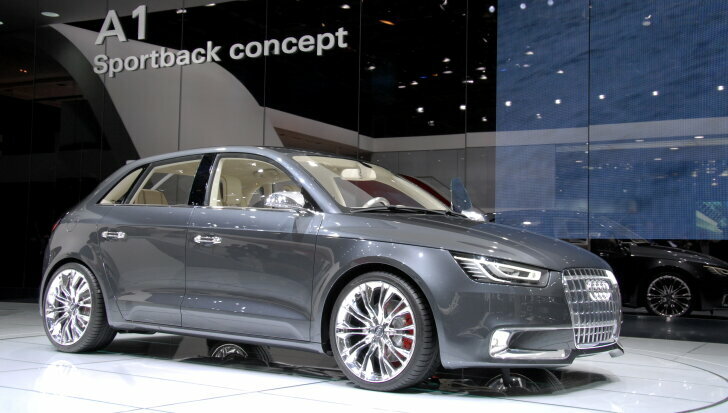 Seat unveils the "Exeo", which is expected to conquer the market of the luxury sedans thanks to its sporty character. The Audi A1 comes one step closer to reality. A representative of Audi told Autozine that the car will go into production in 2010. 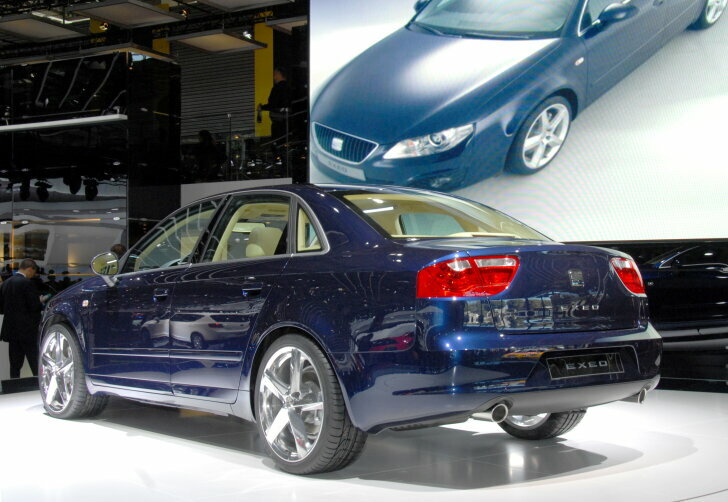 Also in 2010 a hybrid version of the Q5 is expected. The Audi A4 will be available soon in an "e"-spec, which thanks to a 2.0 TDI engine developing 120 HP still manages 100 km per 3,99 litres of diesel. A lot of news can be found at Toyota (see panoramic photo). This starts with the "Urban Cruiser", which is meant as a fun alternative to the existing city car. In the centre of the stand is the new Avensis, which is shown both as a sedan and estate. At the end of December the new Avensis will be tested by Autozine. Most attention goes to the IQ, with which Toyota is expected to shake the markted for compact cars. 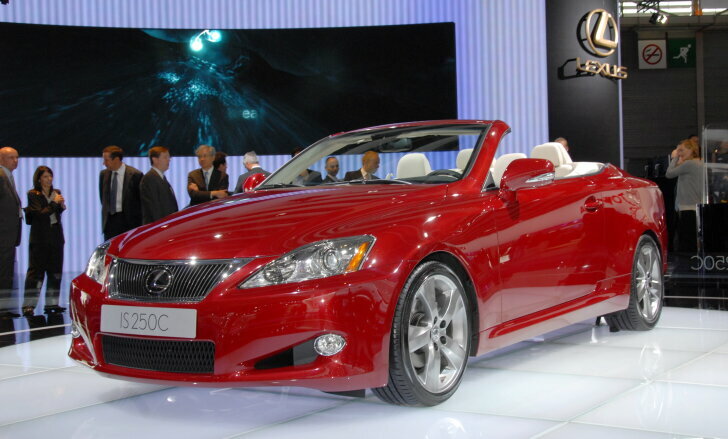 At Lexus the IS 250C (convertible) is the most important news. The LF-HX is a concept car demonstrating Lexus' latest hybrid technologies. The last building requires another walk. Hall 5 consists of two floors. The lower floor is dedicated to design and motorsports. On this floor small, exclusive car makers show their latest creations. On the top floor the General Motors brands show their new models, starting with yet another breath taking concept car from Saab (9-X Air) which regretably will never be taken into production. The displayed 9-4X will be available from 2009, as will the completely renewed 9-5. Vauxhall brings the Insignia estate ("Sports Tourer") to Paris. New at Cadillac is the CTS Wagon, which is aimed at drivers of company cars. Chevrolet will extend the range with the large, seven seat "Orlando" on the long term. The "Cruze" is a new, sporty sedan which will be available as of next year. 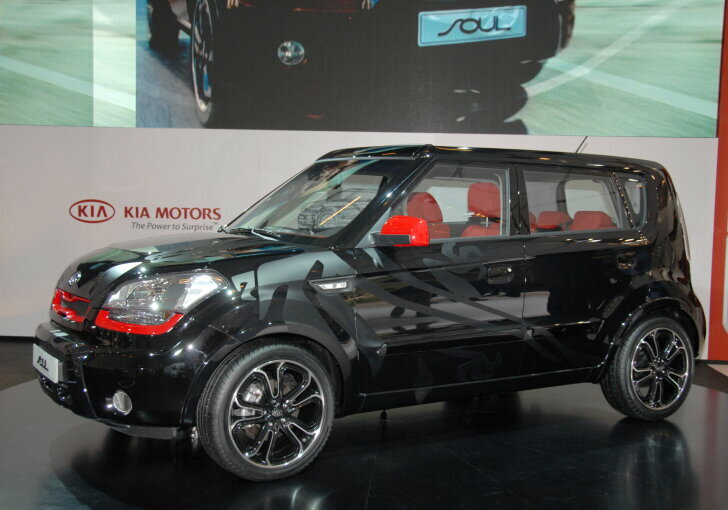 Kia shows the Soul, a remarkably roomy car which can be customised in a myraid of ways. The Soul will be on sale next year. If you cannot get enough of it all, a short walk to hall 8 is recommendable. Here is the "taxi's of the world" exhibition, showing 40 cars from 30 countries, ranging from 1912 till now. Once you've seen it all it is time for a taxi back to the airport. 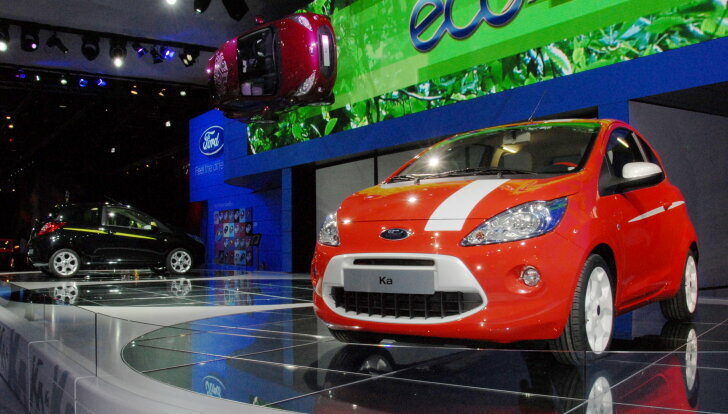 "Positive" and "fresh": those words best describe the Paris Motorshow of 2008. "Fresh" is for the many inventions that will make cars cleaner in the coming years. Almost everyone is working on hybrid cars, while the electric car also becomes more popular (those who already own an electric vehicle have free parking at the "Paris Porte de Versailles"). "Positive" is for the design of new cars, which look fun and upbeat. The angry looking muscle car is out, the funky little town car is in. Especially the Suzuki Alto, Nissan Pixo and Ford Ka prove that. The compact MPV's are the most popular: soon the Citroën C3 Picasso, Honda Jazz, Hyundai i20 and Kia Soul will enter the market. In the higher segment the Vauxhall Insignia, Seat Exeo and Toyota Avensis are expected. In short: a visit to the Paris Motorshow is worthwhile, because the future looks great!